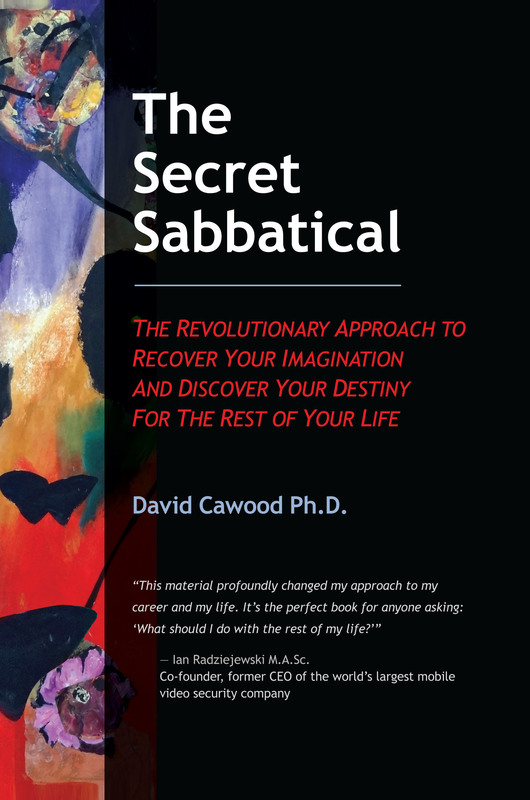 The Secret Sabbatical | The Revolutionary Approach to Recover Your Imagination and Discover Your Destiny for the Rest of Your Life! Passed the 6,000 mark (May 2016) in terms of tailored workbooks and sessions based on selected chapters. Used by trainers in a global multinational on (1) a richer model of motivation and (2) framing your own key questions in life. Developed over 10 years the Course has been fine-tuned for executives, surgeons, architects, research scientists and other professionals. Now you can read the notes from that Course, which are arranged in a clear sequence that covers how to find your own answer in the needed depth.